Thank you for making a difference in our community. 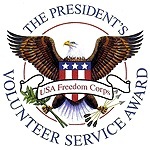 Originally created by President George W. Bush, the Presidential Voluntary Service Award ("PVSA") aims to recognize the best of the American spirit and encourages everyone to increase the amount of community/volunteer service in their life. Awards are given for several age groups and each level corresponds to a different number of service hours within a 12 month period. Levels include bronze, silver, gold and the highest honor, the President’s Lifetime Achievement Award. 2018 PVSA Medalists - EqOpTech Inc.
EqOpTech Inc. is proud to serve as a certifying organization for the President's Volunteer Service Award. We only provide certification for our own volunteer intern at EqOpTech. To join or volunteer at EqOpTech, please apply via the google form here. For more information on hours requirements, visit the President's Volunteer Service Award webpage or e-mail eqoptech@gmail.com. 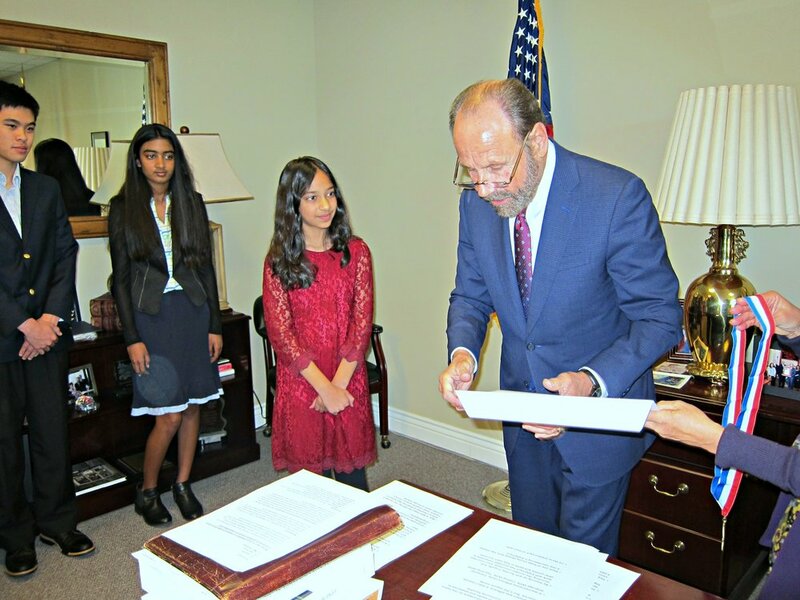 Congress established the Congressional Award in 1979 to recognize initiative, service, and achievement in young people. The enabling legislation (Public Law 96-114, The Congressional Award Act) established the Congressional Award as a private public partnership. The bill was originally signed into law by President Jimmy Carter. Presidents Ronald Reagan, George Bush, Bill Clinton, George W. Bush, and Barack Obama have signed continuing legislation. The minimum age to register is 13.5 and goals must be achieved by your 24th birthday. EqOpTech Inc. management team is proud to act as Congressional Award advisor(s) to help set goals and provide guidance along the way. For more information on age and hours requirements, visit the Congressional Award webpage. After reviewing the website requirement, you may contact eqoptech@gmail.com for further questions. 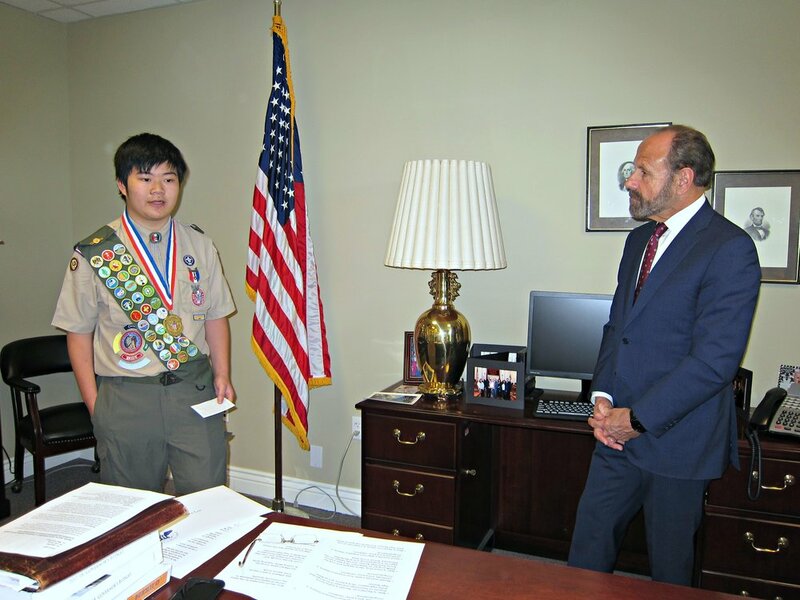 Courtesy of Fritz PhotoGraphics Terence Lee, center, wearing his Congressional Award Gold Medal, is flanked by Congressional Award Chairman Paxton K. Baker, left, and U.S. Rep. Ted Lieu. Gold Award for Girl Scouts. Jefferson award celebrates and recognizes Bay Area unsung hero that do outstanding community service work via media partner CBS KPIX 5. Visit 2018 Jefferson Award presentation ceremony here. Daily Point of Light Award is a program established by President George H.W. Bush during his presidency to spotlight volunteers in the U.S., and it has grown into a bipartisan organization that promotes and mobilizes volunteerism. 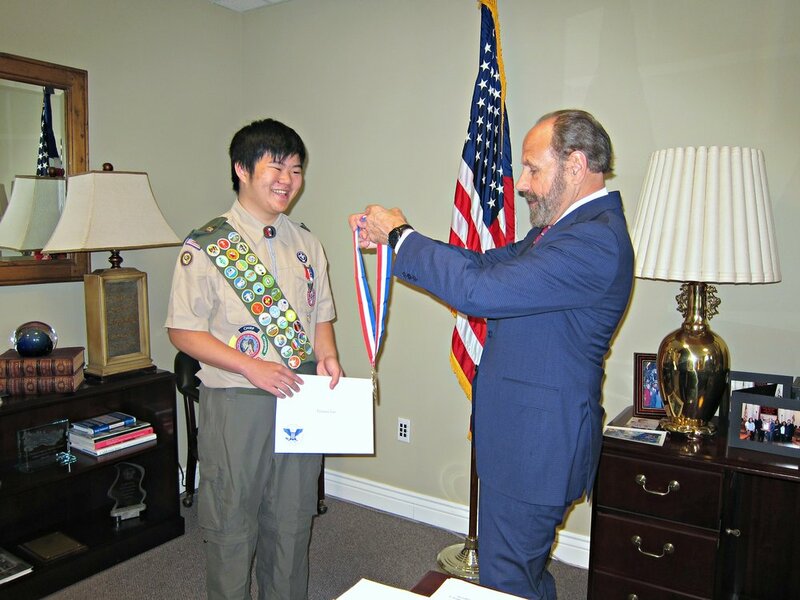 Silicon Valley Teen Helps Bridge Digital Divide with Equal Access to Technology, read his story here. A strong leader demonstrates a unique ability to guide and inspire others to learn, participate and pursue excellence. An innovative individual demonstrates an outstanding creativity, technical knowledge and excellent problem solving skills. The winning entries for each category of the awards will win a cash scholarship prize, trophy and certificate. EqOpTech Leadership and Technology Award is sponsored by the Lee Family Trust. David Ding, EqOpTech 2016 Leadership Award Honoree, flanked by Sra. Rodriguex, left, and Terence Lee. Randall Lowe, EqOpTech 2016 Technology Award Honoree, flanked by Sra. Rodriguex, left, and Terence Lee.